During the Working meeting in Bulgaria the best essay "My experience in Portugal" got a special Erasmus+ prize. The winner is the Italian essay. You can read the best essays from each country on the Padlet wall HERE. WRITING COMPETITION "MY EXPERIENCE IN PORTUGAL"
REQUIREMENTS: Number of words – from 200 to 300. It must be In Word 2007, Font Times New Roman, Size 12. You can suggest an alternative title. 1. BY 15th APRIL 2016 The best writing from each country should be sent to your coordinator teacher. Your teacher will send the files to Tsvetelena Taralova. 2. BY 16th APRIL the files will be uploaded into a Padlet wall and the link will be in students FB. 3. 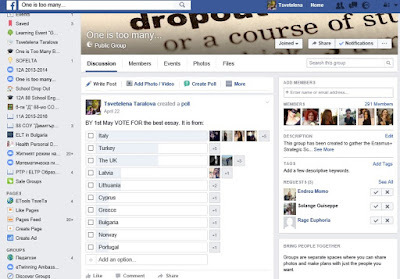 BY 30th APRIL students vote for the best writing in the FB group. 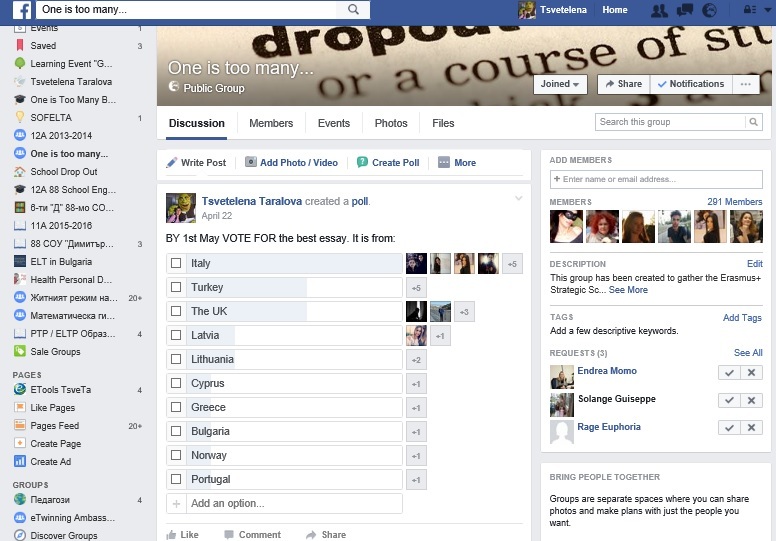 Students can't vote for their own country's writing. 4. BY 2nd MAY The winner will be announced. 5. The winner will get the prize in Bulgaria.